The Turnaround is an inside look at Lubbock High School in western Texas football by head coach Jason Strunk, who has coached high school football in Florida, Pennsylvania and Texas. Strunky, as he’s better known to most, has also been an assistant coach at the collegiate level at Purdue and Muhlenberg College. Coach Strunk will be entering his fifth season as the head coach of the Lubbock Westerners in 2015. Since 2012, he’s been writing this blog for High School Football America. Starting with his first head coaching job at Plant City in Florida, Coach Strunky has made a habit out of fixing high school programs that struggled prior to his arrival. In Lubbock, the once proud Westerner program was on hard times before Strunky arrived. Entering the 2012 season, LHS hadn’t made the postseason since the mid-70’s. That streak was snapped when the Westerners made it to the Texas Class 4A playoffs. 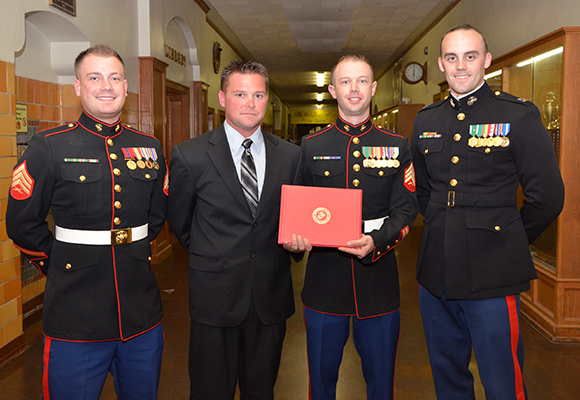 In May 2014, Strunk was honored with the Semper Fi Coach Award from the U.S. Marine Corps and Glazier Football Camps. Coach Strunky’s blog gives readers an inside look at his program, plus tips and techniques that other coaches around America enjoy reading about. February 20, 2015 – Why the Blonde?